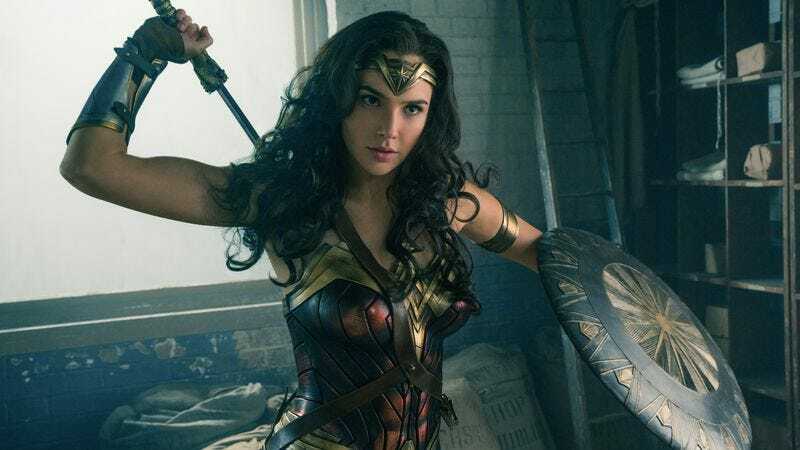 You know, it’s really a shame that Warner Bros. has restricted its release of Wonder Woman to a small handful of women-only screenings at one theater chain. It doesn’t exactly make financial sense, either; you’d think they’d want to make as much…What’s that? It’s playing in thousands of theaters around the world with multiple screenings a day, 99.9 percent of which are open to people of any gender? Oh. I hope every man will boycott Austin and do what he can to diminish Austin and to cause damage to the city’s image. The theater that pandered to the sexism typical of women will, I hope, regret it’s decision. The notion of a woman hero is a fine example of women’s eagerness to accept the appearance of achievement without actual achievement. Women learn from an early age to value make-up, that it’s OK to pretend that you are greater than you actually are. Women pretend they do not know that only men serve in combat because they are content to have an easier ride. Women gladly accept gold medals at the Olympics for coming in 10th and competing only against the second class of athletes. Name something invented by a woman! Achievements by the second rate gender pale in comparison to virtually everything great in human history was accomplished by men, not women. If Austin does not host a men only counter event, I will never visit Austin and will welcome it’s deterioration. And I will not forget that Austin is best known for Charles Whitman. Does Austin stand for gender equality or for kissing up to women? Don’t bother to respond. I already know the answer. I do not hate women. I hate their rampant hypocrisy and the hypocrisy of the “women’s movement.” Women do not want gender equality; they want more for women. Don’t bother to respond because I am sure your cowardice will generate nothing worth reading. Now if someone could inform Mr. Ameduri that his (presumed) boys Alex Jones and Tucker Max are both from Austin—as well as Richard Linklater, Dan Rather, Robert Plant, Willie Nelson, Matthew McConaughey, Terrence Malick, Bill Hicks, Ethan Hawke, Louis Black, Walter Cronkite, Lance Armstrong, and Stone Cold Steve Austin, just to name a few—perhaps he can shed himself of his idea that the only famous man from Austin is the Texas clock tower sniper. It seems to be causing him a lot of distress. Thanks.